One week to go! One week until the official start of the Epcot Food and Wine Festival! Of course, the big draw for the festival is, well, the food options, so today, I thought I would take a look at some of the standouts that will be returning this year. This year, I feel as though a lot of my favorite options have been changed up, making them different from past years, but, there are, of course, some incredible favorites returning. Pavlova (Australia Marketplace): This is a delightful treat! It is a crispy meringue shell with fresh berries and vanilla custard. It was actually a sleeper hit for me last year, as I wasn’t expecting to try it, saw it listed on the menu and decided in the moment that I wanted to sample it. 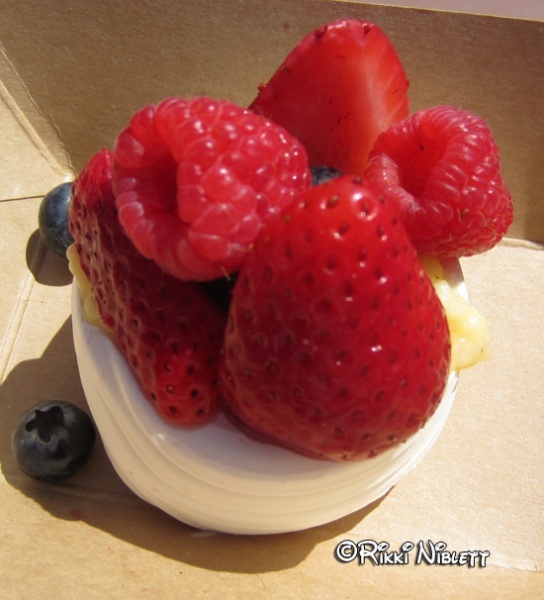 The shell was delightfully crisp and sweet and the custard mixed with fruit was perfect. I really liked this sweet because it was extremely light, which can be handy when walking around World Showcase, in the afternoon, with the Florida sun beating down on you. 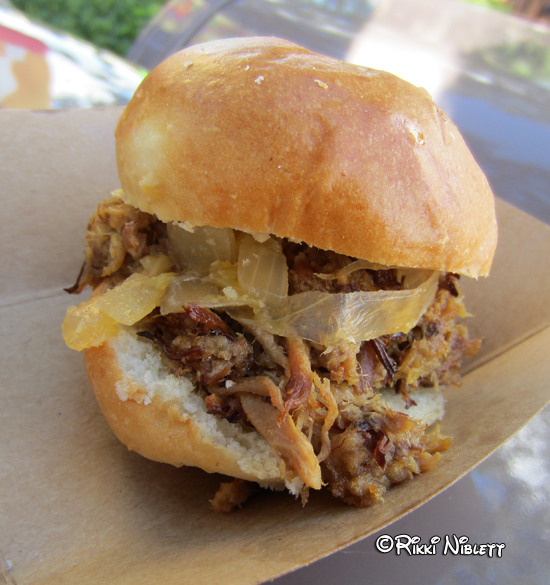 Kalua pork slider with sweet and sour Dole® Pineapple chutney and spicy mayonnaise (Hawaii Marketplace): I have been in love with this slider since it was first introduced. The pork has great flavor, the pineapple chutney is sweet and a good foil for the mayo. 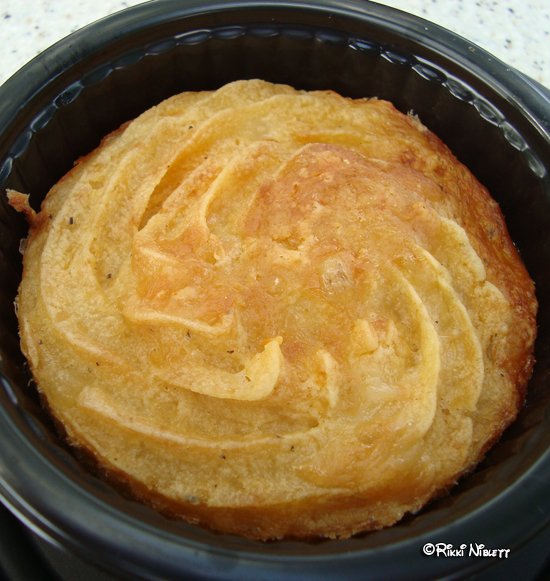 Fisherman’s Pie (Ireland Marketplace): One of the options that rates as one of my all time favorites that is returning. I mean how can you go wrong? Lobster and other delicious seafood treats in a delightful lobster bisque mixed with mashed potatoes and cheese…hello! Boeuf bourguignon: Braised short ribs in cabernet with mashed potatoes (France Marketplace): This was another sleeper for me and it has rapidly become one of my favorites of the whole entire Food and Wine Festival. Matter of fact, I’ve even tried making it at home, though, it was not nearly as good as it is at Epcot. The short ribs are tender and the mashed potatoes are perfect in the cabernet sauce. This is one of those where I may have to get it a couple of times while I’m down there. That’s how good it is. 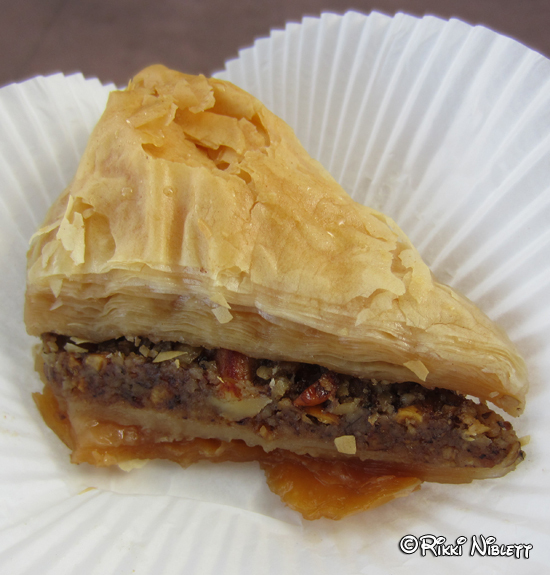 Baklava (Morocco Marketplace): You must know…I am a sucker for baklava. It is the sweet taste of honey mixed with chopped nuts that just really makes me happy. Get it and I think it will make you happy too. 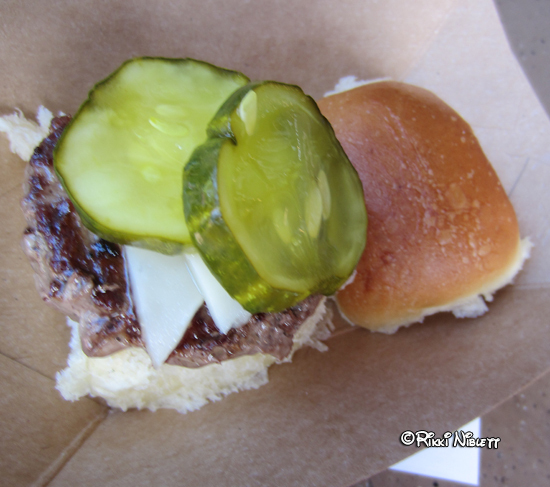 Beef Slider (Hops and Barley Marketplace): I am not a burger person, so I didn’t originally gravitate to this option…instead it was my husband, the burger connoisseur who decided to try it. But I decided to taste it and holy cow! This was a good little burger! This year, they’ve changed it ever so slightly, adding pimento cheese, which is an intriguing change and I’m curious how that will change the taste of the burger. So, those are the options that will be returning again I cannot wait to dine on this year and I think that you’ll enjoy too! Next week, which is the opening weekend of the Festival, I’ll share my list of intriguing new items that I’ll likely be trying while visiting the Festival this year. For a complete list of Epcot Food and Wine Festival Booths for this year, make sure to check out our page dedicated to the Marketplaces. 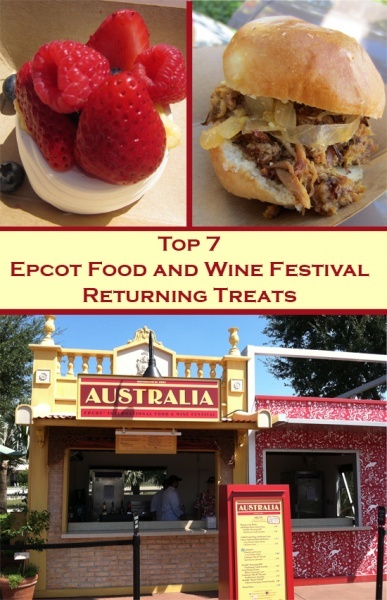 Let me know what your favorite returning item is for the Epcot Food and Wine Festival!